Hey all you rabbit fans! 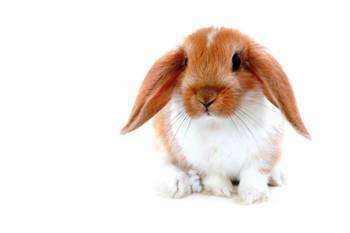 It’s National Rabbit Week! Intended to promote responsible rabbit ownership, as well as celebrate the overall cuteness of our long-eared friends, National Rabbit Week is the perfect excuse to learn something new about the little hoppers. If you are considering the addition of a rabbit to your family, the most important thing to know is that they require a high level of care; do you research. Below are a few tips and things to keep in mind when choosing the rabbit that is right for you and your family, courtesy of the ASPCA. – When you first get your rabbit, you’ll need to spend about $90 for a cage, $30 for a carrier and $25 for a litter box. Food runs about $125 a year, plus $25 annually for toys and treats, $125 for veterinary care and $400 annually for litter and bedding material. – Rabbits are physically delicate and fragile, and require specialized veterinary care. – If well-cared for, indoor rabbits can live for seven to ten or more years. – Rabbits require a lot of room for housing and exercise. – The most important component of your rabbit’s diet is grass hay, such as timothy or brome. This is crucial for keeping his intestinal tract healthy. Unlimited hay should be available at all times. 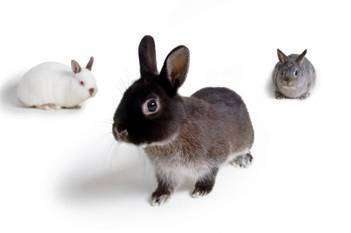 – You’ll also need to feed your bunny good-quality rabbit pellets. – Fresh leafy greens make up a third component of your pet’s diet…dark leaf lettuces, collard greens, turnip greens and carrot tops…a minimum of two cups per six pounds of rabbit. – Clean, fresh water, dispensed in a bottle or sturdy bowl, should be available at all times. – Rabbits are very clean by nature, and will do their best to keep their living quarters clean. – Rabbits can be trained to use a litter box. You can find and print out a full copy of the ASPCA’s General Rabbit Care HERE, available in PDF form. This entry was posted on Friday, July 13th, 2012 at 10:37 PM	and is filed under Misc.. Both comments and pings are currently closed.